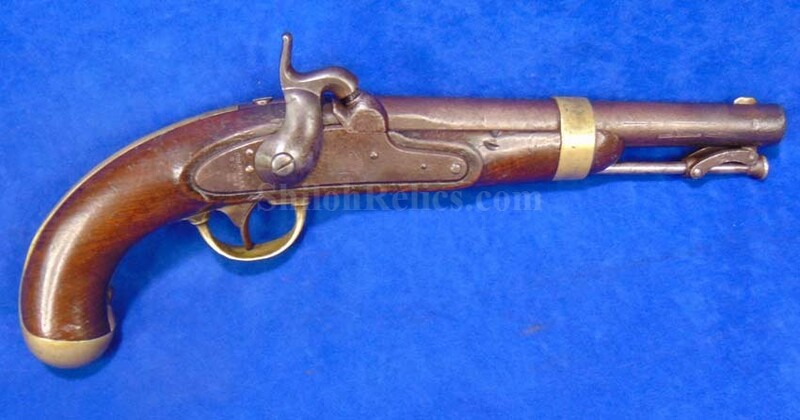 This is a pistol that you very seldom see offered. 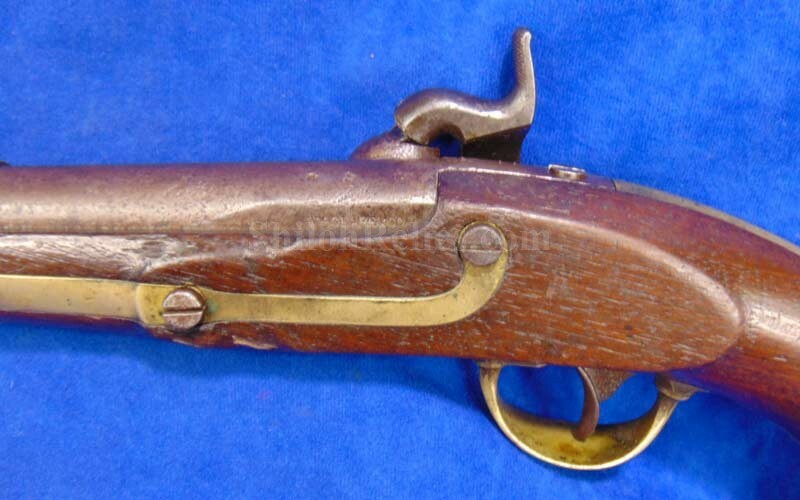 It is a tough to find version of an original single shot model 1842 military pistol. 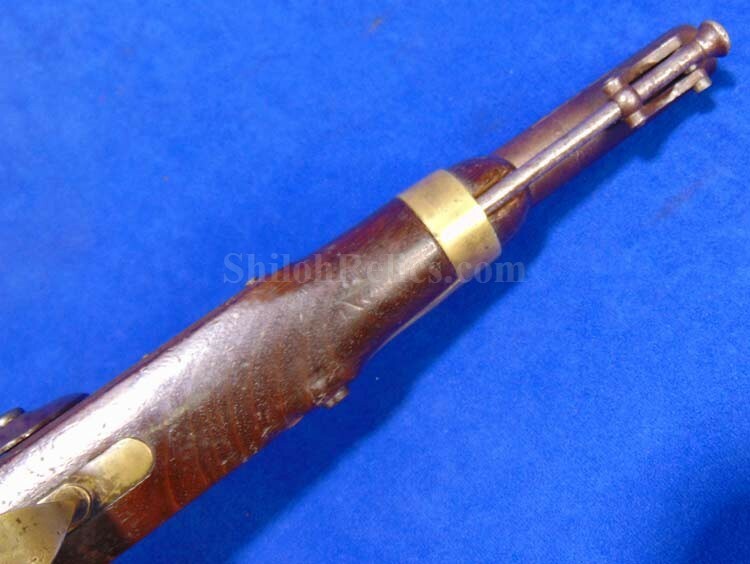 What is special about this one is the maker. 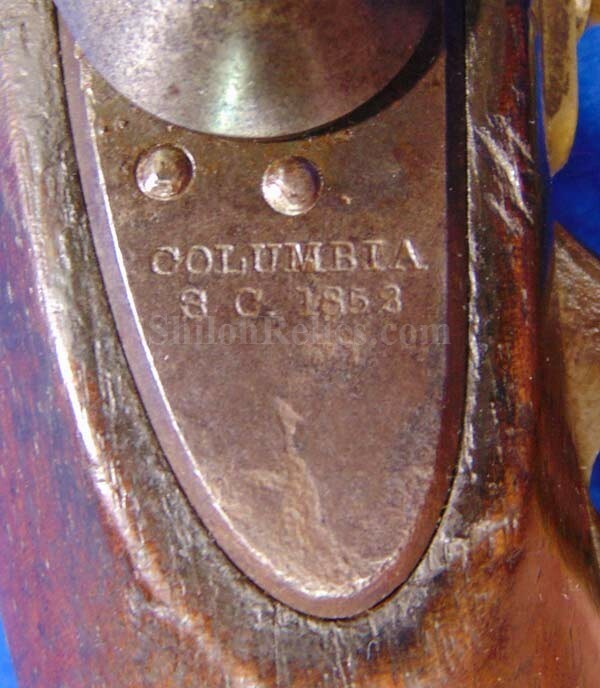 On the lockplate it has the desirable and scarce maker's markings of the Columbia, South Carolina firm of William Glaze. 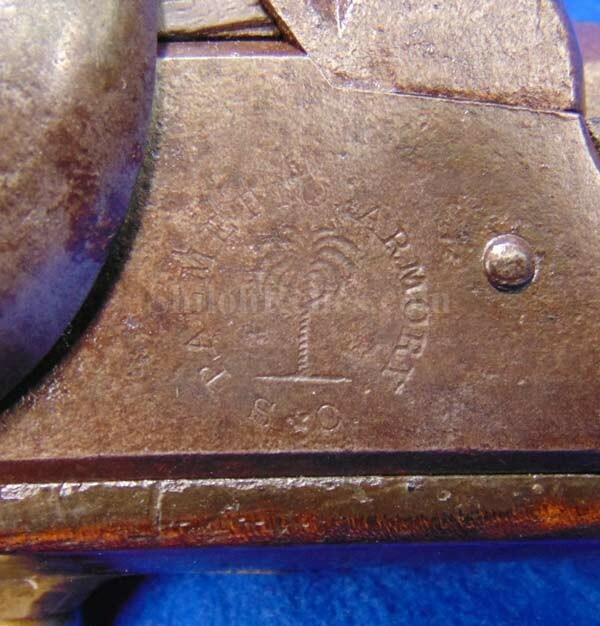 In the center of the maker's Mark it has the beautiful palmetto tree design and around the edge reads "PALMETTO ARMORY/ S*C.". 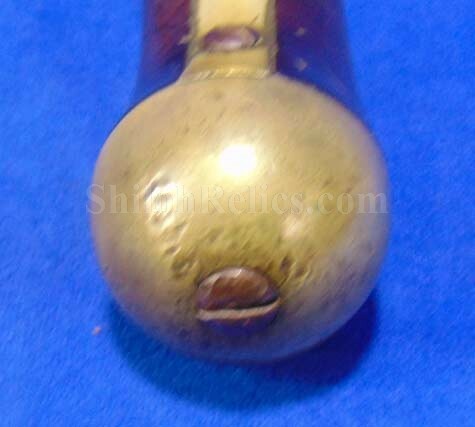 The marking is still quite clear as you can see in the images. 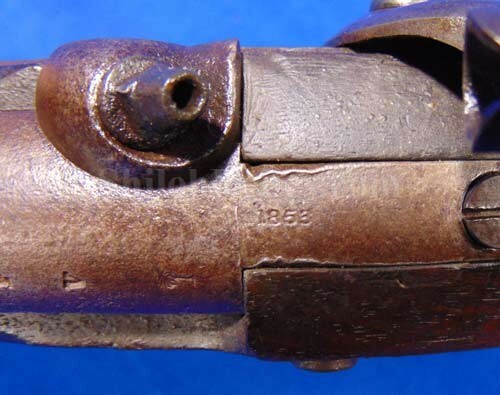 It also has the production date of 1852 stamped behind the hammer. 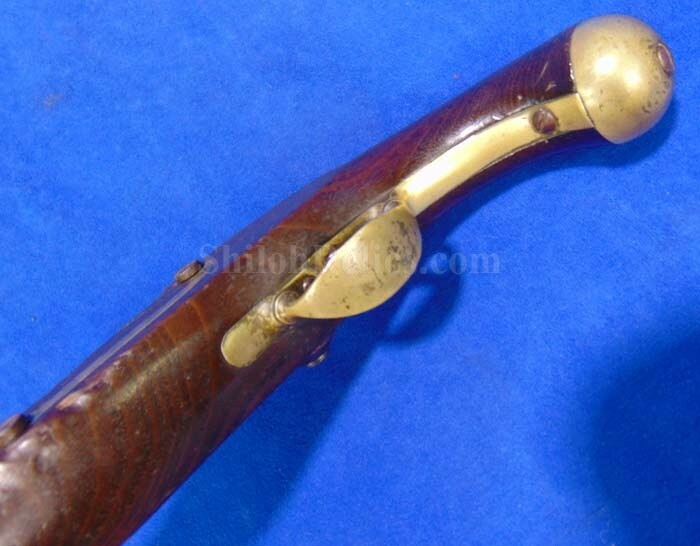 The action of the lockplate mechanics still catches crisply on both positions. 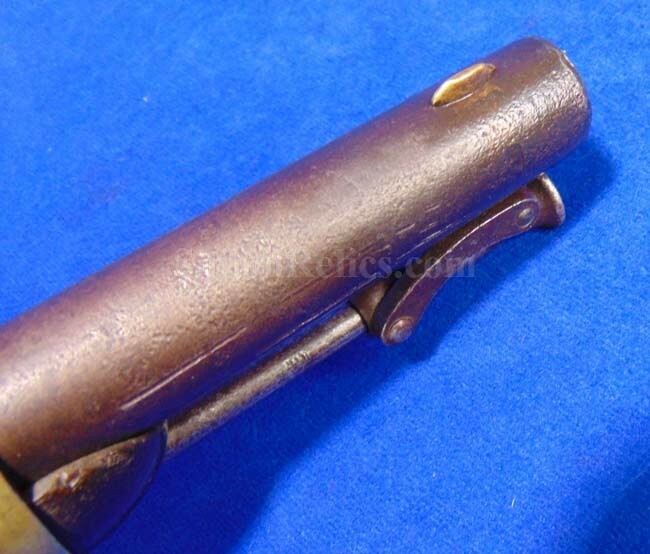 The barrel is a dark color with surface pitting from use. 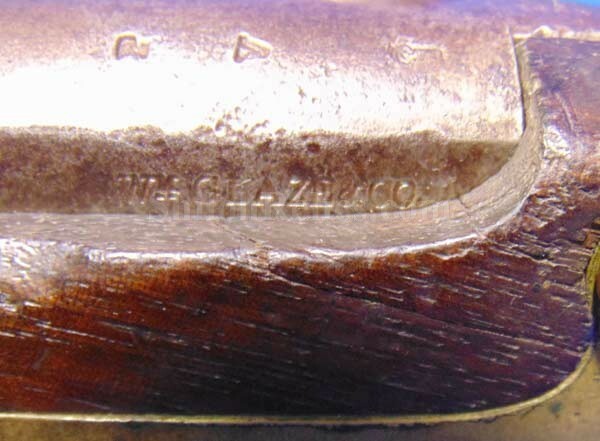 At the breech of the full-length barrel you can see the "W. GLAZE & CO." stamping on the side of the barrel. 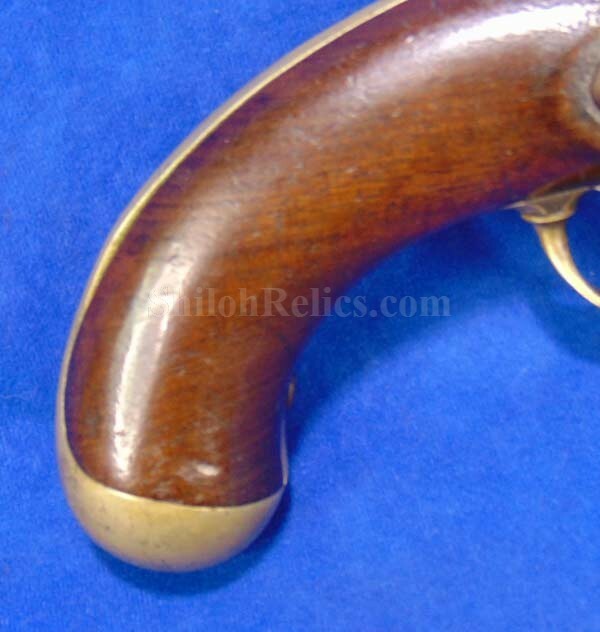 Also at the breech of the barrel it has the inspector marks. 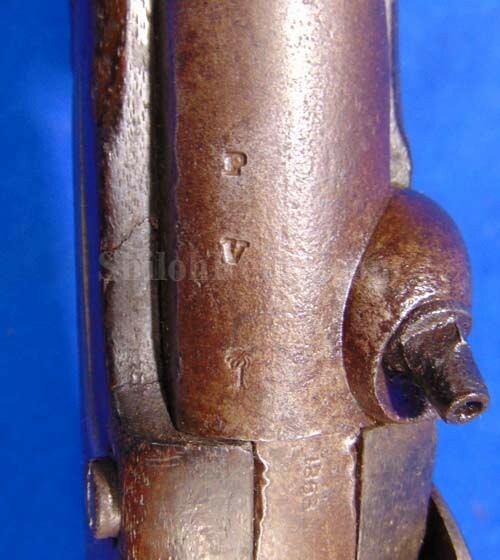 Most of the time these markings are completely illegible. 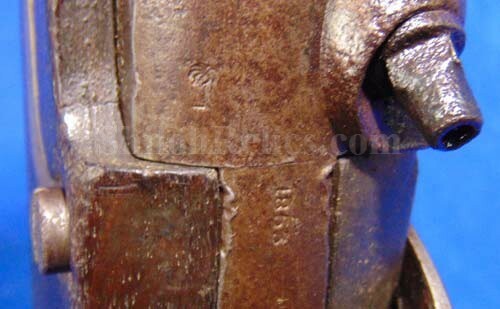 One of the inspection marks is the classic William Glaze Palmetto tree. 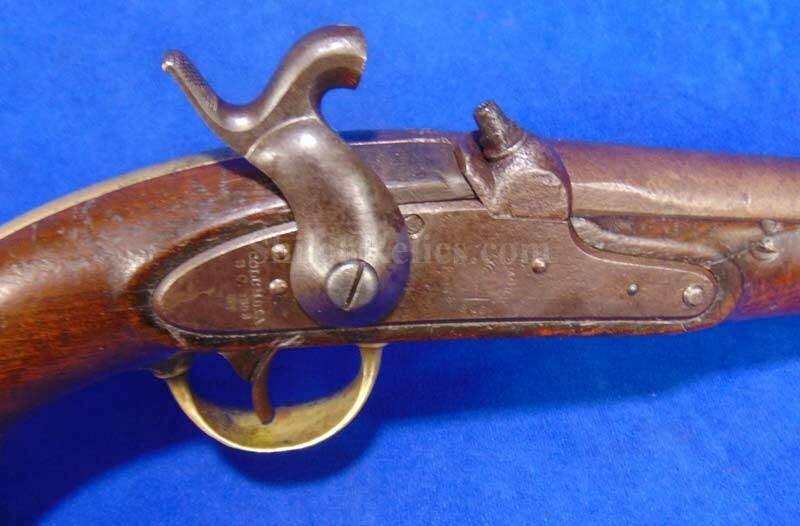 On the barrel tang you can see the clear production date of 1853. 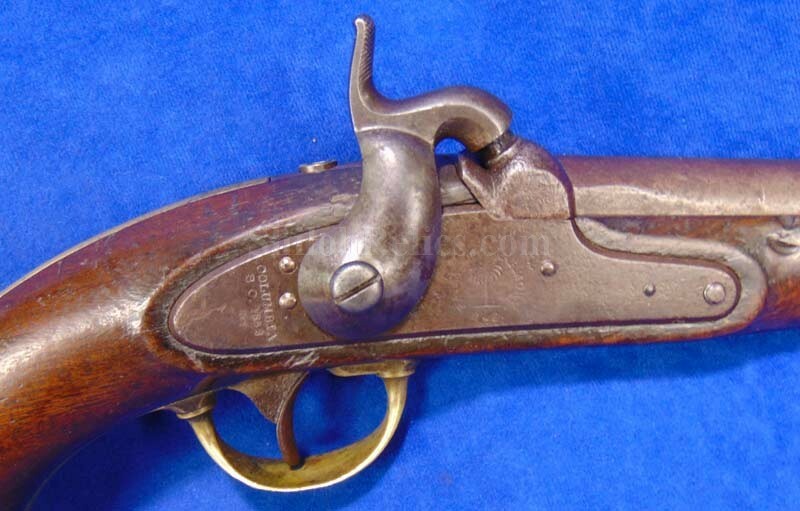 The stock of the gun is made of a dark tone piece of American walnut and as you can see it was used but not abused. 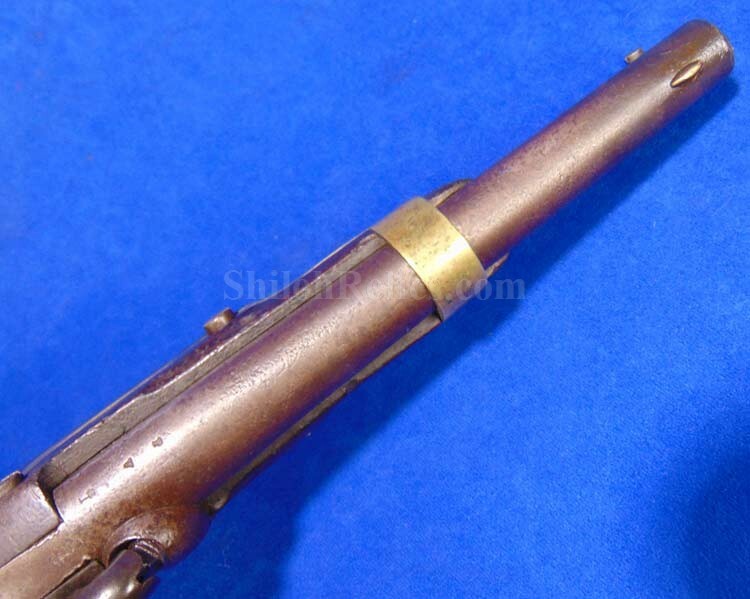 The brass of the gun is complete and has a pleasing look with a golden color patina. 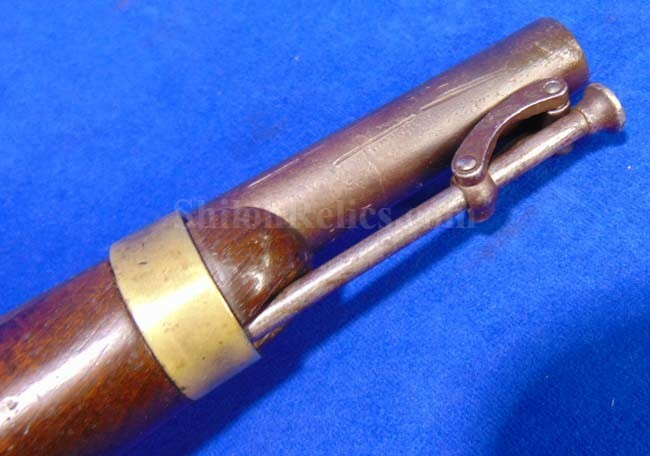 The ramrod and swivel guide underneath the barrel are original and fully functional. 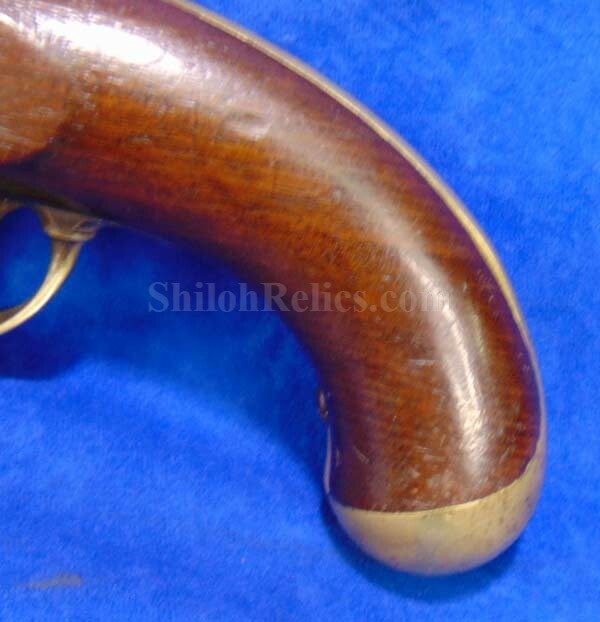 Nine out of 10 of these pistols that you encounter are reproductions but this one is just like you see and is an original treasure on the Palmetto State. It is a keeper by anyone's standards.